Bulgari celebrates the magic of each season with a new mini collection of gorgeous necklaces adorned with a delicate pattern of leaves. 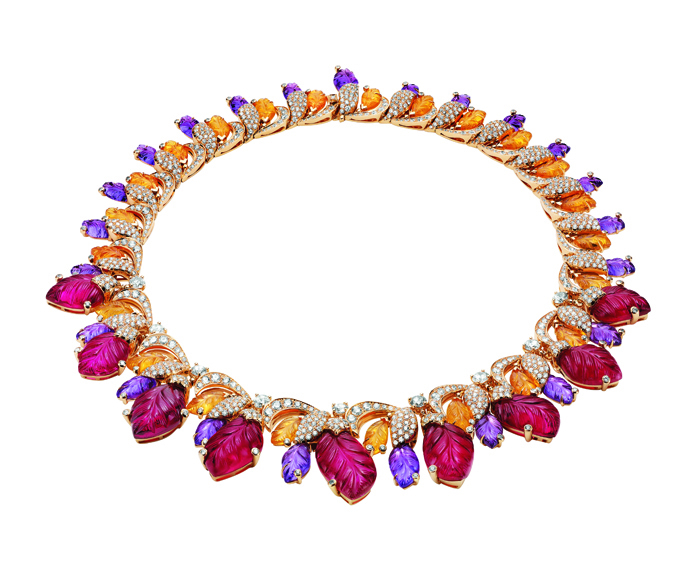 Richly carved and engraved with realistic ribs, colored stones fit together in bold color combinations that have made the reputation of the jeweler Bulgari. The leave size gems is a contemporary adaptation of a classic pattern of the Mogul tradition, known for exceptional smoothness of cut stones that adorned ornaments and other valuables such as jewelry boxes and perfume bottles. 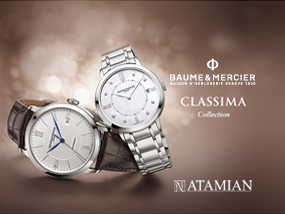 The exceptional expertise that can be seen in every detail, enhances the aesthetic impact of each jewel: articulated with a natural fluidity, the patterns have been especially designed and shaped to meet the body’s movements. Each of the leaves constituting the four necklaces have slight differences, creating an all natural and irresistibly spontaneous effect. Each claw gripping the stone is expertly set with a diamond whose brilliance highlights the vibrant hues of colored gemstones. Last detail, the sinuous lines of the leaves harmoniously blend with curved shapes of the hinges set with paved diamonds, specifically designed to provide for all light and lightness. This mini collection dedicated to the four seasons reflects once again the intensity of the aesthetic language of Bulgari, the house having been continuously during its 130 years of existence, discovering new sources of inspiration with an unfailing creative passion and unconditional love of beauty. Summer. 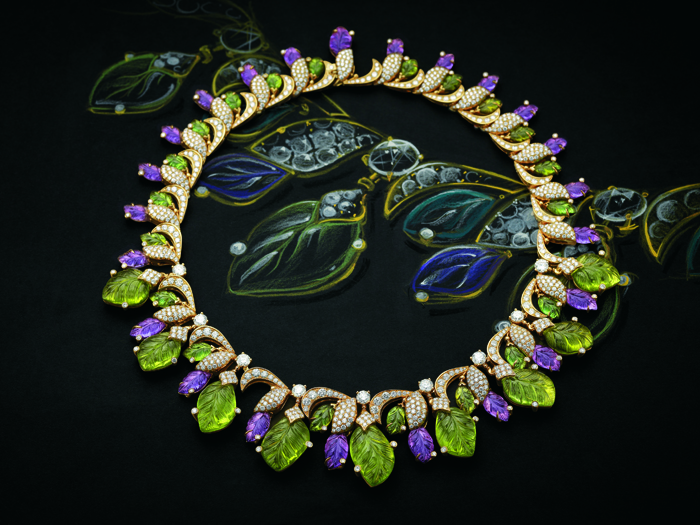 The radiant energy of summer is captured in a yellow gold necklace set with emeralds, mandarin garnets and amethysts. Originally established in July 2013 for the Diva collection, this necklace inspired this mini collection of unique pieces. Summer. ” Caprice in Portofino ” 8812.Bulgari necklace, fine jewelry in yellow gold set with 9 fancy emeralds in curved size (108,32 ct), 23 mandarin garnets curved size (65.35 ct) , 23 fancy amethysts curved size ( 45.55 ct) 9 round diamonds with brilliant and paved size. 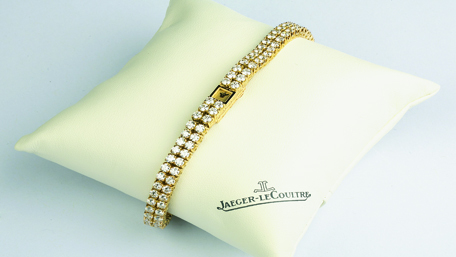 (24.26 ct). Winter. In winter, the leaves are covered with a glittering pave of ” frosted ” diamonds, taking the appearance of a fairy embroidery in white gold. 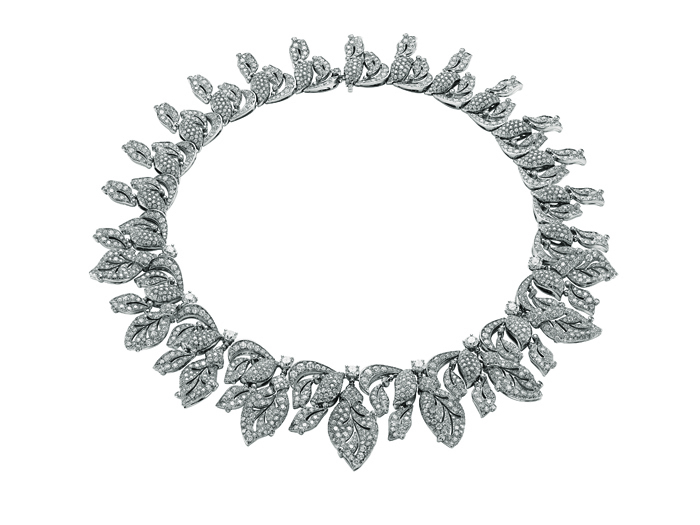 Winter 9083.Bulgari necklace in fine jewelry in platinum with 9 round diamonds in brilliant cut 3.95ct and a set of paved stones 38.52ct . Spring. The rebirth of nature in spring is embodied in a rose gold setting combining tourmaline and peridots whose distinctive bright green tones form a vibrant contrast with the purple of amethysts. Spring. 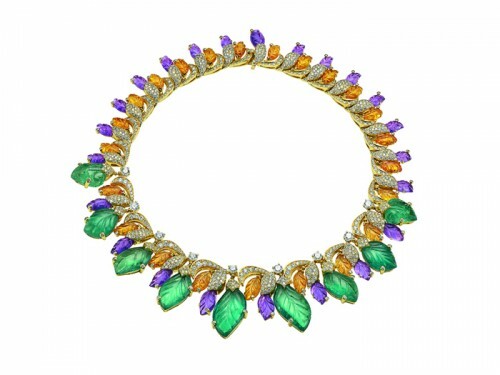 Bulgari necklace in fine jewelry in rose gold with tourmalines, peridot, amethyst and round brilliant cut diamond set and paved diamonds. Autumn.The warm shades of autumn are evoked by tourmalines and amethysts whose natural tones of purple shimmer in the light rays of mandarin garnets. Autumn9139. Bulgari necklace in fine jewelry in rose gold with 116.39 ct tourmalines, amethysts 34.87 ct, 47.95 ct spessartites and set of round brilliant cut diamonds 21.18 ct.